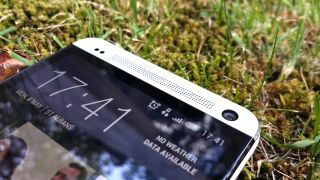 Continuing its gradual European roll-out, the Android 4.2.2 update for HTC One has reached UK shores and is available to download now. Right now! HTC went official by announcing the update on Twitter. Android 4.2.2 brings several new features, including lock-screen widgets and various bug fixes to both SIM-free and network carrier HTC One handsets. If the update doesn't happen via OTA (over the air), you can manually get it by going to 'Settings' then 'About' then 'Software Updates' and then 'Check Now'. Bam. Job done.